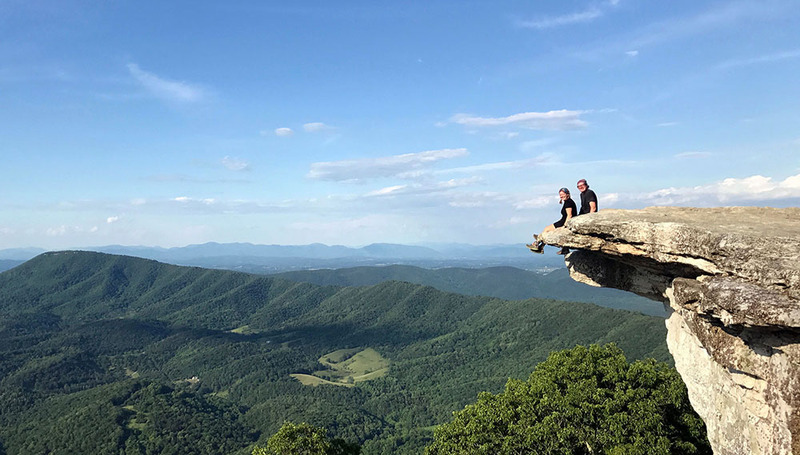 After several years of living in paradise, and hiking almost every morning in our Central Valley backyard, we have gotten the itch for our next big adventure… and that is to thru-hike the Appalachian Trail! Why, some of you may ask? 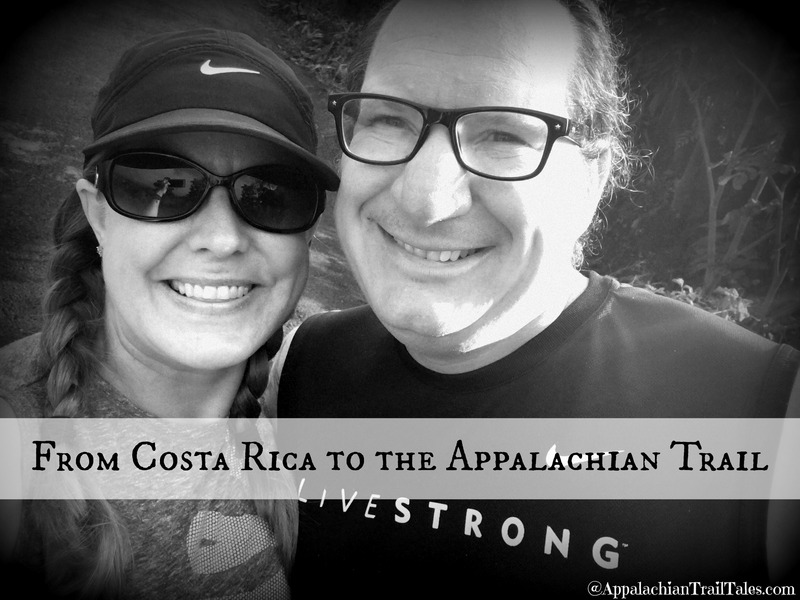 Well, we both love hiking, we still feel young, our bodies are able – and why wait? We might die tomorrow or get old before we know it. We want to DO all the things we’ve dreamed about doing while we still can. We are currently spending some time with my mom in Wisconsin, while we narrow down our gear list and prepare for our thru-hike in March, 2017. 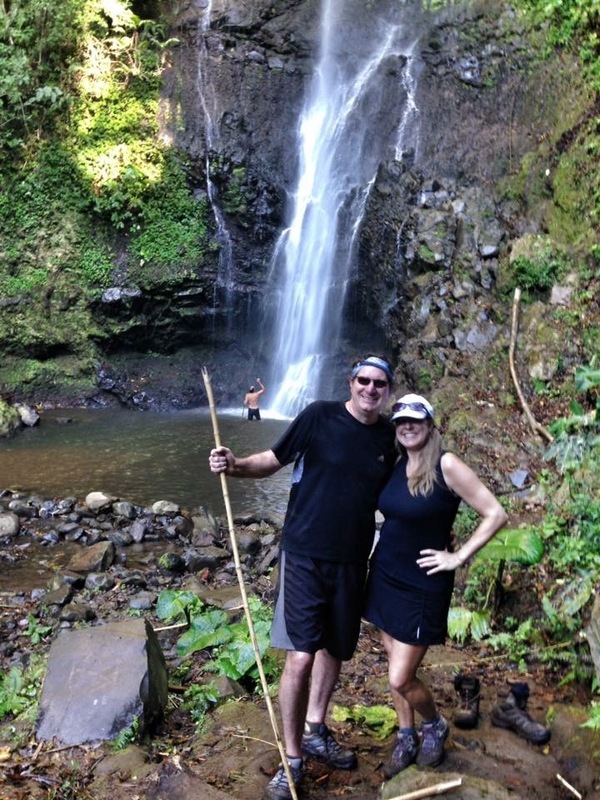 Hiking to a hidden waterfall near our home in Costa Rica. The Appalachian Trail (also known as the “AT”) is 2,189.1 miles long and runs from the southern terminus of Spring Mountain, Georgia to the northern terminus of Mt. Katahdin, Maine. You can hike it either way – south bound (SOBO) or north bound (NOBO); but we, like the majority of thru-hikers, will be going NOBO. We will carry everything we need on our backs. The biggest challenge so far has been trying to keep our pack weight down (the more our packs weigh, the harder it is to hike 15-25 miles a day!). We are so completely excited about this new adventure! We know some of you may never have heard of the AT, or have 1,001 questions about it. We will be blogging and doing videos about the AT and all it entails in the months to follow – so stay tuned, and better yet – sign up for this blog!! That’s all for now. Please remember to subscribe for updates (in upper right hand corner of this website) so you will never miss a post from us. Rick! You are our FRIST commenter, congrats! 🙂 And glad to have you along for the ride. Looking forward to experiencing your trip from the comfort of my easy chair. You guys are awesome. So glad you got the blog up and running. Really looking forward to following along on your adventures! Thanks for following us, Cindy! Hi to Dan. Prayers with you both, every step of the way!!!! Filled with admiration for your zest for life and sense of adventure! I will wait in anticipation for every post and video, and for every chance to send you goodies! Wouldn’t miss this adventure with you both…as long as you are doing the hiking and we’re doing the reading about it! It’s going to be another great adventure that I don’t want to miss! Weird having you guys in the states and not across the mountain pass. Here in Virginia if you need a break! Thanks Larry. We look forward to sharing our next big adventure… not so much living through a Wisconsin winter. Maybe it will toughen us up a bit. We’re following your guide to life in Costa Rica… don’t think we have the guts or endurance to even think about doing the trail. We will enjoy following you online however. Enjoy Costa Rica Barry. Let us know if we can help. Pura Vida. I would love to do this myself, but am not physically capable, so I shall be hanging on every word. Envious still here in Grecia. Happy trails to you both. Thanks Liz. We’ll try and be as descriptive and explicit as possible so you can be right there with us. Thanks Helen! We can’t wait to get going.